Vintage Gold Enamel Butterfly Necklace. 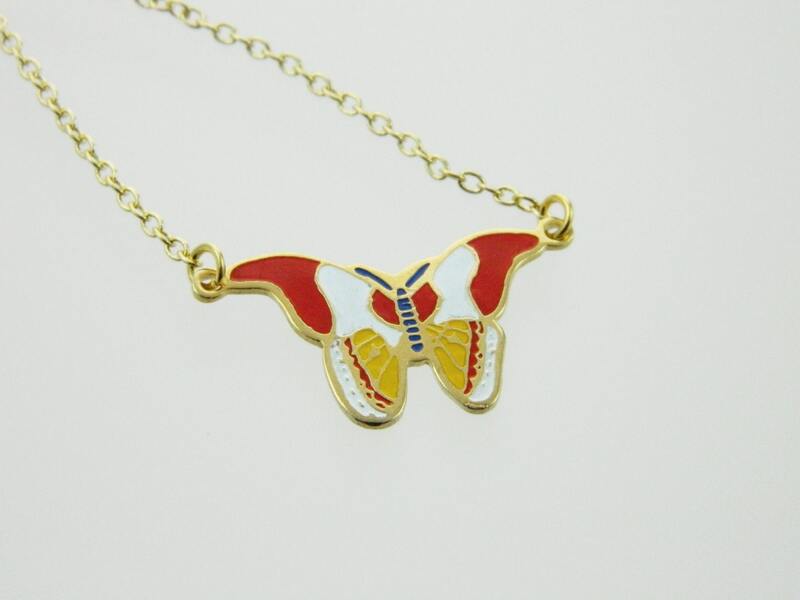 Gold Plated Enameled Butterfly Pendant on a new 18K Gold Filled Chain. Pendant Dimensions: 16mm H x 30mm W.
Chain: New 18k Gold Plated Cable Chain.